Our April arrival, Mark 2f coach no. 1215, gave us an idea of the sort of rolling stock which would have formed “The Waverley” express had it survived into the 70s/ 80s. But so much for the Inter- City services. What would we have seen working the 6.13pm Carlisle to Hawick local? 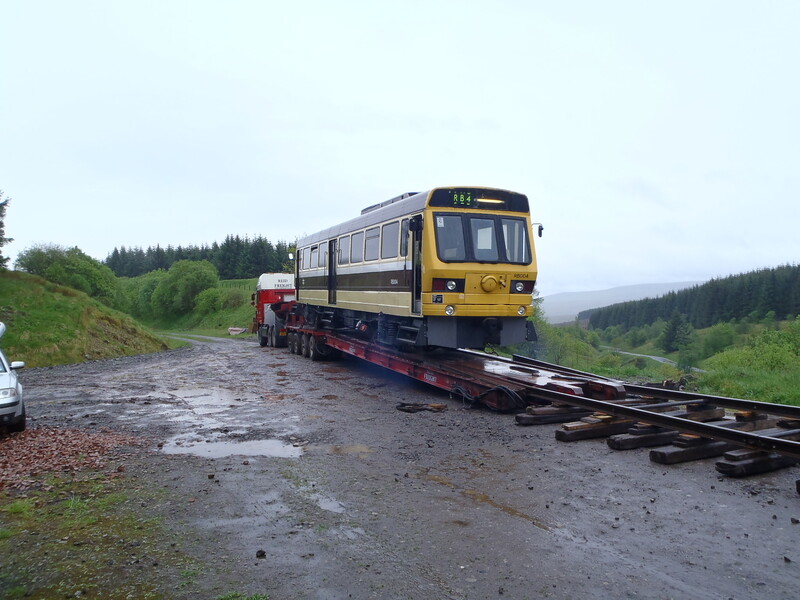 Cue our latest arrival to Whitrope: experimental BRE/ Leyland railbus RB004. 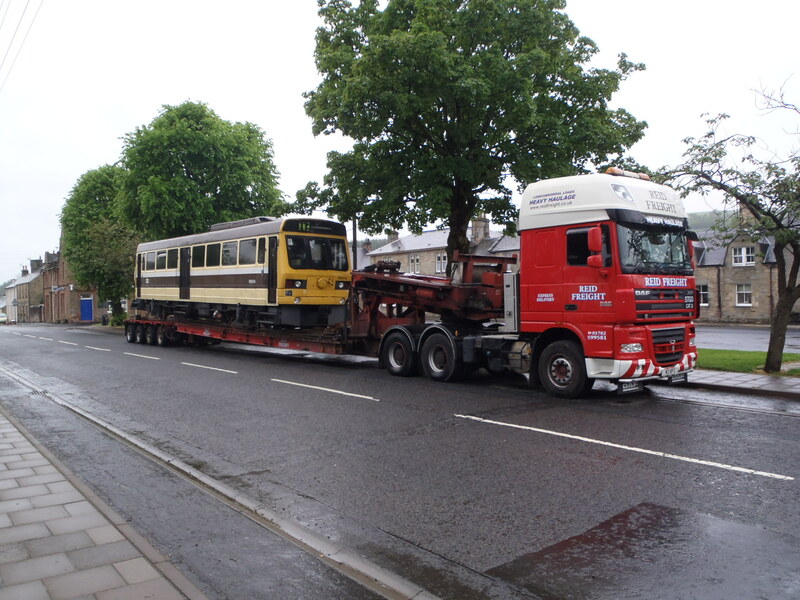 We’ll post some more information on this fascinating vehicle in due course, but suffice to say it arrived on site on a damp May 31st courtesy of Reid Freight after a long trip north from the Midland Railway Centre in Derbyshire. With the Fowler still under repair, the liklihood is that the operational RB004 will now do the honours on our Open Weekend on June 30th/ July 1st. In the meantime it’ll be getting pressed into service in order to train our volunteer drivers and guards of the future. Some more blurb and photos to follow in due course……..
As the fleet grows will there be a need for more security? I know Whitrope is a remote place, but isolation doesn’t always deter thieves, vandals etc. The tunnel would have been a good bunker if it hadn’t collapsed. I’d love to see a consequence of crossing that!!! Down here in deepest “posh” Essex you weould think we were safe. But here at the Colne Valley Rlwy, just because we are a bit remote, we have experienced copper, cabling AND ironwork theft. that was all taken care of over one non-operational weekend!). You make a very good point. Remote is vulnerable. 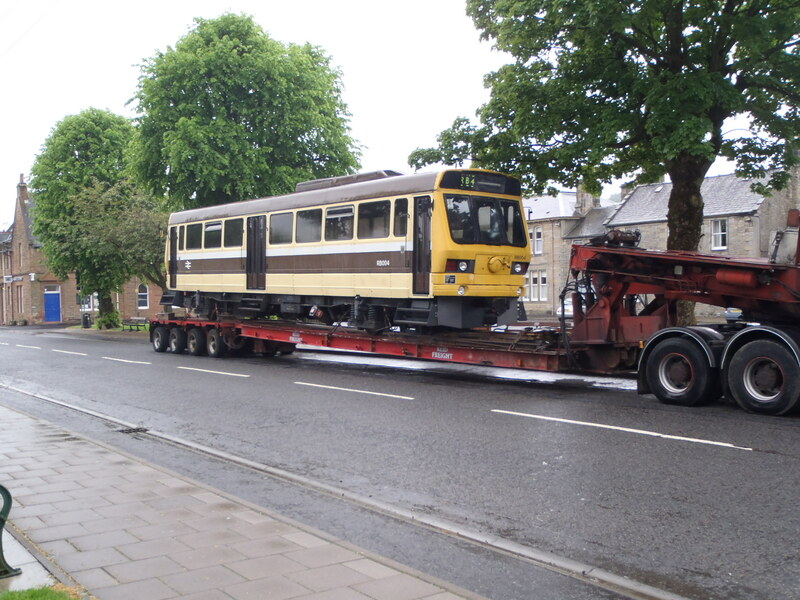 Well done for securing another bit of rolling stock. I’m looking forward to coming down to travel on the line once passenger traffic starts. However, I may be alone here, but I find it rather unfortunate that the line’s first passengers will be travelling on a bus on train wheels that people were forced to travel by bus instead of the train when the line shut in over 40 years ago. Keep up the otherwise good work! Nick, I take your points on board but we have to be both responsible and sensible here. 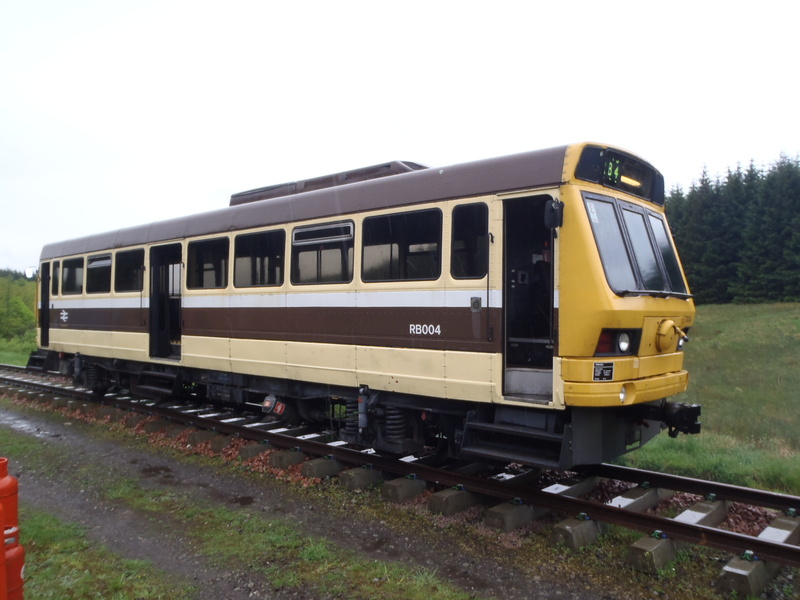 A Railbus it may be but it holds its own part of history in the evolution of rail transport and as such is justified its own place in preservation. The biggest and most attractive points to a young group with a limited run are that it wont burn 2 gallons a mile, no propelling is required and the public/enthusiast market that come to travel have a cab view both forward and in rear. Mate its just the ticket the now. The time for mainline traction will come. I thank you for your comments and I hope this gives some reassurance to your worries. This talk of the 6.13a.m. ex Carlisle reminds me that it was invariably known locally as the Skud. 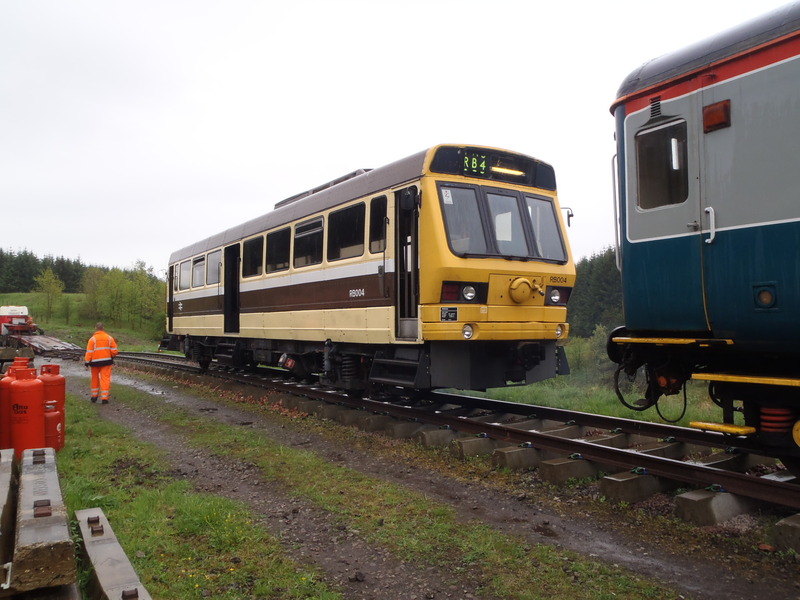 And if memory serves me right, there’s a photo of the 6.13 being worked by a Derby lightweight DMU, effectively an experimental railbus of its day, so the historical precedent is there. Mac is right, RB004 is the ideal tool to get us started with. 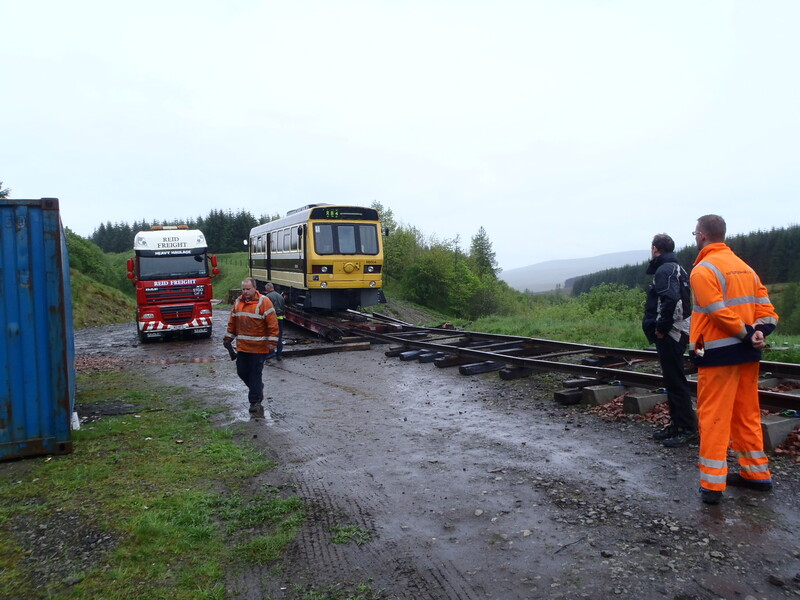 While we aspire to introducing a regular passenger service at Whitrope, 2012 is as much about getting our safety and compliance documentation implemented and perfected, our volunteers trained and buiding in confidence, our current infrastructure proved and bedded- in and our operating company finding its feet. The railway needs to crawl before it walks before it runs. 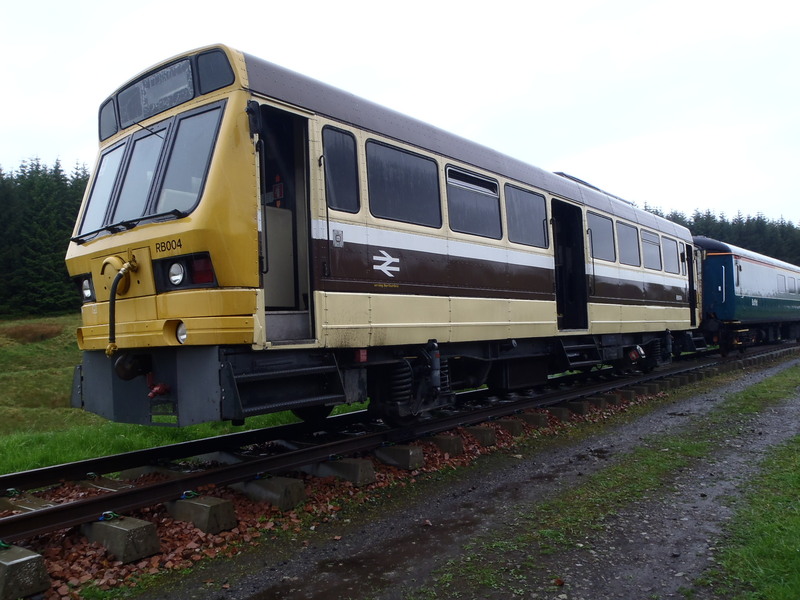 Loco hauled trains, and possibly even steam, will be along in the future, but the railbus fits the bill very nicely in the meantime, and we offer our sincere thanks to Northumbria Rail for making it available to us. I can’t add much more than that suffice to say that the mightiest oak grew from a small acorn! Bruce McCartney has some pics of a Derby. My name is Stuart, and I have been following updates from the WRHA for a good while now. I’ve watched closely since the days when the Fowler was the only loco, so it’s nice to see that the motive power fleet is growing. The railway itself is looking great, but then again, I don’t think there’s a heritage railway out there that doesn’t look great. I look forward to the days when a Tornado will blow through Whitrope, as I’m sure it will, but the Fowler, Ruston and RailBus are all great things for a baby-railway to have, and if the pictures are anything to go by, this railway has earned each and every one of them. Thanks for the comments: its nice to know we’ve got our followers out there! Yes indeed, the time for big engines and steam will come in due course. When you consider that there was literally NOTHING at Whitrope ten years ago, I suppose we haven’t done too badly!! I do hope we’ll see you in these parts some day soon, if only for a visit and a ride on the train. 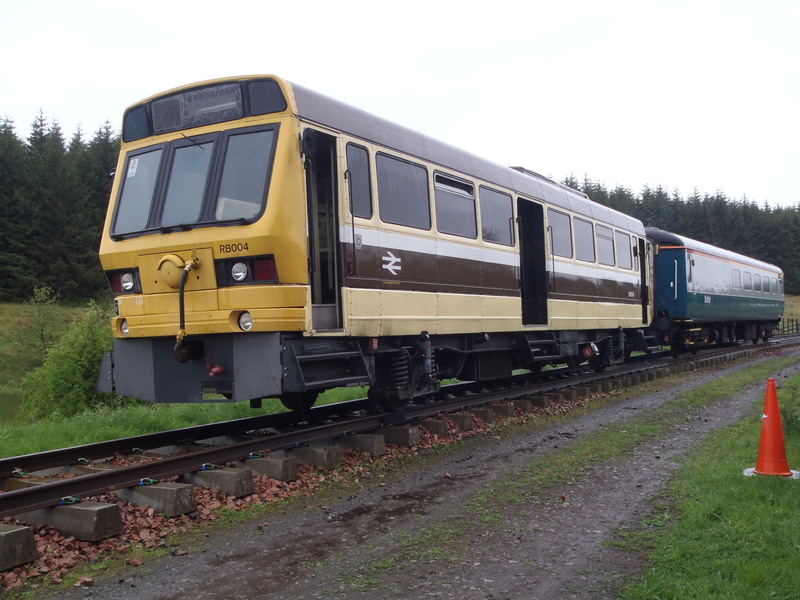 I really wish I could be there for that magic moment when passengers will ride the line again for the first time since 1969 .I’m proud to have been a volunteer at Whitrope, in its earlier days, as in latter ones. Laying track the old fashioned way is a slow and painful process, my achy muscles testify to that, but with a small monthly team, an amazing amount of track was laid, cut in the outer curves, re-drilled and fishplated, ballasted, leveled, and all with pinchbars, shovels, rakes, jacks and grunt ! I’m watching the current progress with amazement, and wish all those volunteering now, my respect for all you are doing. Meantime, my French garden railway with British and European stock, is slowly getting there. I think the aches and pains were more to do with your driving technique on that dumper mate. Sorry to hear you won’t be over for the first trains: you earned your place in the annals of WRHA history and put plenty of hours in on the project over many years, so it would have been good to see you there. Regards to Michael and the better halves. Let us know when the garden railway is finished and we’ll be over. Claude, we wouldn’t be where we are now without your priceless initial efforts. You have our reciprocated respect. Hi from Hertfordshire – your weather better than ours I reckon! and to this day we only operate 1m201yrds end to end! It CAN be done. Scenery not’s so good in flat Essex though! Can’t wait to see the progress that has been made, and looking forward to visiting the railway 1st/2nd September.